Mikey’s is the creator of truly delicious baked goods made with simple, clean ingredients. Inspired by a lack of healthy gluten-free products in the market today, Mikey’s set out to provide great tasting better-for-you products that have the nutritional value consumers are looking for. 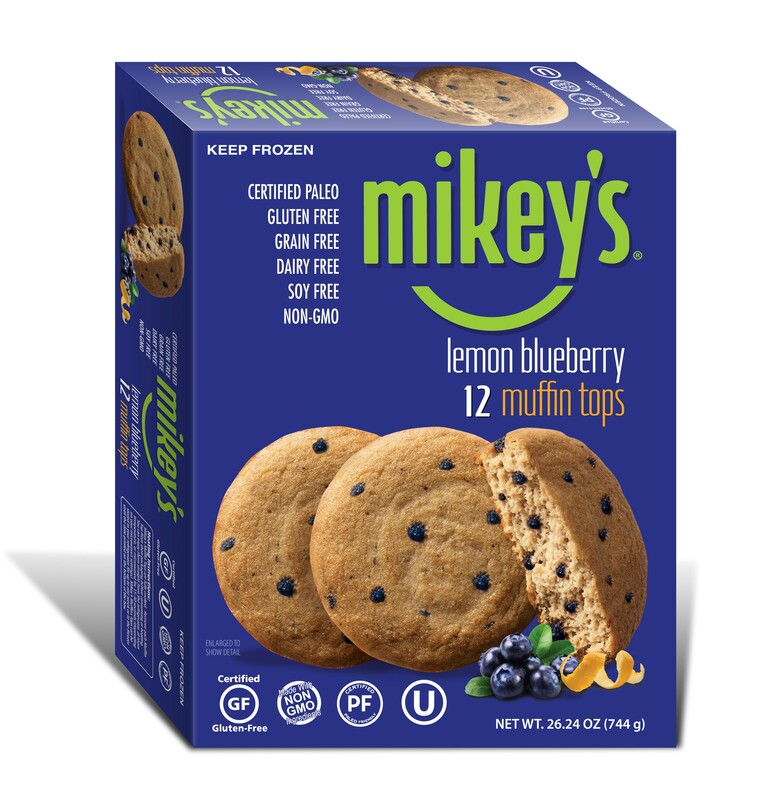 Packed with flavor and free-from many common allergens, all Mikey’s products are Certified Gluten Free, grain-free, dairy-free, soy-free, non-GMO and Certified Paleo, with Certified Vegan and Keto Certified options as well. Characterized by great taste—a product of Founder Michael Tierney’s classical chef training— Mikey’s product line includes: English muffins, muffin tops, sliced bread, pizza crust, tortillas, and Pizza Pockets—perfect as a standalone meal or an on-the-go snack. At 13-years-old, Michael Tierney began working in professional kitchens after school. Following his passion for cooking, Tierney enrolled in the Culinary Institute of America, and eventually worked in some of the best kitchens in the world—including three-Michelin star restaurants The French Laundry and Eleven Madison Park (Tierney was part of the staff when it was awarded three-stars for the first time!). Tierney’s entrepreneurial spirit eventually led him to depart the world of fine dining and focus on his own creative ventures—which is when he founded the recipe for what would become Mikey’s English Muffins. The following year, in 2014—the first year as Mikey’s LLC— Tierney singlehandedly financed the business, developed the company’s initial products, sourced commercial co-packers to manufacture the product, and sold the product to national retailers. Today, Mikey’s is one of the fastest growing brands in the better-for-you category—available in over 5,000 stores nationwide—featuring an expanding portfolio of nutritious and delicious baked goods that caters to health conscious foodies across the country. Being OU Kosher certified means that our products are held to some of the highest standards in the industry. Having the seal on our package assures our customers that our products use only the highest quality ingredients and our manufacturing facilities meet all of the strict Kosher guidelines.